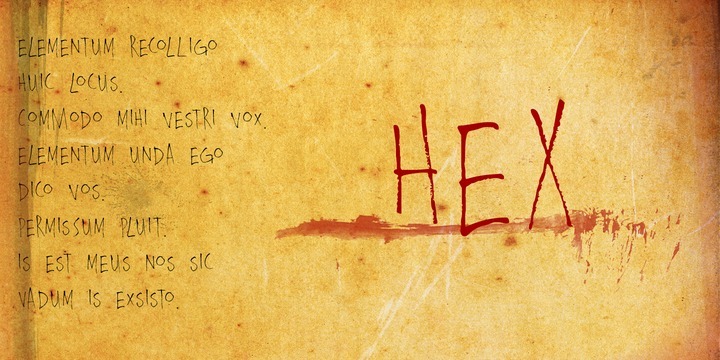 Hex is a typeface created by David Kerkhoff and published by Hanoded. This font is perfect for scary halloween postcard, it is a uneven, spiky. Buy it! A font description published on Thursday, November 29th, 2012 in Fonts, Hanoded by Alexandra that has 2,506 views.